Here’s our alphabetical list of the most popular physicists, or contributors to physics, on the Famous Scientists website, ordered by surname. Alhazen c. 965 – c. 1040. Explained why camera images are upside down; solved ‘Alhazen’s problem’ concerning reflection of light from curved surfaces. Luis Alvarez 1911 – 1988. The iridium layer, dinosaur death by meteorite impact, and subatomic particle discoveries. André-Marie Ampère 1775 – 1836. Discovered that wires carrying electric current can attract and repel magnetically; founded electromagnetic theory. Carl Anderson 1905 – 1991. Proved the existence of antimatter with his discovery of the positron; discovered the muon. Aristotle 384 – 322 BC. Amedeo Avogadro 1776 – 1856. 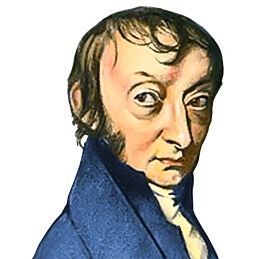 The first scientist to realize that elements could exist in the form of molecules rather than as individual atoms; originator of Avogadro’s law. Charles Barkla 1877 – 1944. Showed that X-rays emitted by a substance are related solely to the chemical elements present in the substance, hence these X-rays act as a form of fingerprinting to identify the elements present in any material. Daniel Bernoulli 1700 – 1782. Discovered the Bernoulli Effect explaining how aircraft wings generate lift; formulated a kinetic theory relating particle speeds in gases to temperature; made major discoveries in the theory of risk. Aage Bohr 1922 – 2009. Explained the structure of the atomic nucleus, unifying the liquid-drop and shell models to produce the collective model. Niels Bohr 1885 – 1962. Founded quantum mechanics when he remodeled the atom so electrons occupied ‘allowed’ orbits around the nucleus while all other orbits were forbidden; architect of the Copenhagen interpretation of quantum mechanics. S. N. Bose 1894 – 1974. Founded quantum statistics with an alternative derivation of Planck’s radiation law based on the idea that light photons of the same color are indistinguishable from one another – particles such as this are known as bosons. Lawrence Bragg 1890 – 1971. Discovered how to locate the positions of atoms in solids using X-ray diffraction, enabling scientists to build 3D models of the atomic arrangements in solids. The discovery was arguably the most significant experimental breakthrough of twentieth century science. James Chadwick 1891 – 1974. Discovered the neutron and led the British scientists who worked on the Manhattan Project. Subrahmanyan Chandrasekhar 1910 – 1995. Discovered that massive stars can collapse under their own gravity to reach infinite densities. Today we call these collapsed stars black holes. John Cockcroft 1897 – 1967. Co-designed and built the first ‘high energy’ particle accelerator; produced the first artificial nuclear disintegration in history; provided proof that Einstein’s mass-energy equivalence equation E = mc2 is correct. Arthur Compton 1892 – 1962. Discovered that light can behave as a particle as well as a wave, and coined the word photon to describe a particle of light; discovered that cosmic rays contain positively charged particles. Marie Curie 1867 – 1934. Co-discovered the chemical elements radium and polonium; made numerous pioneering contributions to the study of radioactive elements; carried out the first research into the treatment of tumors with radiation. Paul Dirac 1902 – 1984. Unified quantum mechanics and special relativity, explaining the origin of particle spin; discovered the concept of antimatter in an equation; founded quantum electrodynamics. Albert Einstein 1879 – 1955. Einstein’s theories of special & general relativity delivered a remarkable transformation in our understanding of light, gravity, and time, while special relativity yielded the most famous equation in history, E = mc2. Einstein explained the photoelectric effect, and provided powerful evidence that atoms and molecules actually exist. Michael Faraday 1791 – 1867. Discovered electromagnetic induction; devised Faraday’s laws of electrolysis; discovered the first experimental link between light and magnetism; carried out the first room-temperature liquefaction of a gas; discovered benzene. Benjamin Franklin 1881 – 1955. A founding father of the USA, Franklin shaped our understanding of electricity, coined the electrical terms positive and negative, and invented the lightning rod and bifocal spectacles. Galileo Galilei 1564 – 1642. The father of modern science, Galileo discovered the first moons ever known to orbit another planet and that the Milky Way is made of stars. He rationalized how objects are affected by gravity, stated the principle of inertia, and proposed the first theory of relativity. Carl Friedrich Gauss 1777 – 1855. The last master of all mathematics, Gauss revolutionized number theory and invented the method of least squares and the fast Fourier transform. His profound contributions to the physical sciences include Gauss’s Law & Gauss’s Law for Magnetism. Willard Gibbs 1839 – 1903. Invented vector analysis and founded the sciences of modern statistical mechanics and chemical thermodynamics. William Gilbert 1544 – 1603. Founded the scientific study of magnetism and is regarded, together with Galileo, as a founding father of experimental science. Discovered our planet has two magnetic poles and behaves like a giant magnet. Created the world’s first electroscope to detect electric charge. Joseph Henry 1797 – 1878. Built the world’s most powerful electromagnets; discovered electromagnetic induction independently of Faraday; made scientific breakthroughs that allowed Samuel Morse to invent the telegraph. The unit of electrical inductance is named in his honor. Heinrich Hertz 1857 – 1894. Discovered radio waves, proving James Clerk Maxwell’s theory of electromagnetism; discovered the photoelectric effect, providing a clue to the existence of the quantum world. The unit of frequency is named in his honor. David Hilbert 1862 – 1943. Famed for his 23 problems, Hilbert propelled mathematics to new heights. He replaced Euclid’s axioms dating from 2,000 years earlier, allowing the unification of 2D and 3D geometry; and he created Hilbert Space, now essential in advanced physical science. Robert Hooke 1635 – 1703. Discovered cells and wrote one of the most significant books in scientific history, Micrographia, revealing the microscopic world for the first time; discovered Hooke’s Law in physics; invented the balance spring, enabling pocket watches to be made. Fred Hoyle 1915 – 2001. Proved that most of the naturally occuring elements in the periodic table were made inside stars and distributed through space by supernova explosions; coined the phrase ‘Big Bang’ while strenuously denying that there had ever been one; argued for an expanding Steady State universe with no beginning or end. Irene Joliot-Curie 1897 – 1956. Co-discovered how to convert stable chemical elements into ‘designer’ radioactive elements; these have saved millions of lives and are used in tens of millions of medical procedures every year. Pyotr Kapitsa 1894 – 1984. Discovered superfluidity when he observed liquid helium flowing without friction – in other words with no loss of kinetic energy. Popularizer of science, futurist, and a founder of string field theory. Joseph-Louis Lagrange 1736 – 1813. Reformulated mechanics in general coordinates using the calculus of variations, which he himself invented; discovered the Lagrangian function; created the concept of potential; discovered the Lagrangian points in celestial mechanics. John Michell 1724 – 1793. Invented the torsion balance to weigh our planet, later used in the famous Cavendish experiment; the first person in history to suggest black holes could exist; the first to suggest the force between two magnets is governed by an inverse square law. Johannes Kepler 1571 to 1630. Discovered the solar system’s planets follow elliptical paths; identified that ocean tides are caused mainly by the moon; proved how logarithms work; discovered the inverse square law of light intensity; his laws of planetary motion led Newton to his law of gravitation. Ernest Lawrence 1901 – 1958. Invented the cyclotron used by scientific teams in his laboratories to discover large numbers of new chemical elements and isotopes. Founded big science. Inge Lehmann 1888 – 1993. Analyzed earthquake waves to discover that within our planet’s liquid core, at the very center of the earth, there is a solid core whose diameter is greater than 1,000 km. James Clerk Maxwell 1831 – 1879. Transformed our understanding of nature: his famous equations unified the forces of electricity and magnetism, indicating that light is an electromagnetic wave. His kinetic theory established that temperature is entirely dependent on the speeds of particles. Lise Meitner 1878 – 1968. Discovered that nuclear fission can produce enormous amounts of energy; codiscovered the phenomenon of radioactive recoil. Henry Moseley 1887 – 1915. Proved that every chemical element’s identity is uniquely determined by its number of protons, establishing this is the true organizing principle of the periodic table; correctly predicted the existence of four new chemical elements; invented the atomic battery. Isaac Newton 1643 to 1727. Profoundly changed our understanding of nature with his law of universal gravitation and his laws of motion; invented calculus, the field of mathematics that dominates the physical sciences; generalized the binomial theorem; built the first ever reflecting telescope; showed sunlight is made of all the colors of the rainbow. Emmy Noether 1882 – 1935. Probably the greatest female mathematician in history, Noether’s theorem revealed a fundamental property of our universe, that for every conservation law there is an invariant. Her founding work in abstract algebra revolutionized mathematics. Hans Christian Oersted 1777 – 1851. Discovered electromagnetism when he found that electric current caused a nearby magnetic needle to move; discovered piperine and achieved the first isolation of the element aluminum. Max Planck 1858 – 1947. Founded quantum theory with his proposal that hot objects radiate only certain allowed values of energy, all of which are multiples of a number now called the Planck constant – all other values of energy are forbidden. C. V. Raman 1888 – 1970. Discovered that light can donate a small amount of energy to a molecule, changing the light’s color and causing the molecule to vibrate. The color change acts as a ‘fingerprint’ for the molecule that can be used to identify molecules and detect diseases such as cancer. Ernest Rutherford 1871 – 1937. The father of nuclear chemistry and nuclear physics; discovered and named the atomic nucleus, the proton, the alpha particle, and the beta particle; discovered the concept of nuclear half-lives; achieved the first laboratory transformation of one element into another. Abdus Salam 1926 – 1996. An architect of the second great unification in physics, uniting the electromagnetic force with the weak nuclear force to produce the electroweak force. Niccolo Tartaglia 1500 – 1557. Founded the modern science of ballistics; refuted Aristotle’s claim that air sustained motion; provided general solutions for cubic equations. J. J. Thomson 1856 – 1940. Discovered the electron; invented one of the most powerful tools in analytical chemistry – the mass spectrometer; obtained the first evidence for isotopes of stable elements. Charles Townes 1915 – 2015. Invented the laser and maser. Established that the Milky Way has a supermassive black hole at its center. Alessandro Volta 1745 – 1827. Pioneer of electrical science; invented the electric battery; wrote the first electromotive series; isolated methane for the first time; discovered a methane-air mixture could be exploded using an electric spark – the basis of the internal combustion engine. John Wallis 1616 – 1703. Discovered the concept of conservation of momentum; a founder of infinitesimal calculus; introduced the ∞ symbol for infinity. Ernest Walton 1903 – 1995. Co-designed and built the first ‘high energy’ particle accelerator; accelerated protons to split lithium nuclei into alpha particles – the first transmutation of an element induced by generated particles; provided experimental proof that Einstein’s mass-energy equivalence equation E = mc2 is correct. Thought the unthinkable, discovering that parity is not conserved; Yang-Mills theory is at the heart of the Standard Model in physics.